I love the colour of that! Its such a bright blue and fits alot! I need to work on storing my ever-growing collection of palettes ._. 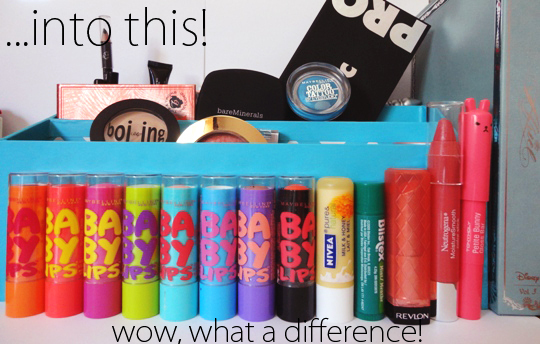 I do to, but I wish there were more colours--I need to store my skincare items! But thank god palettes don't take up too much space in the first place! 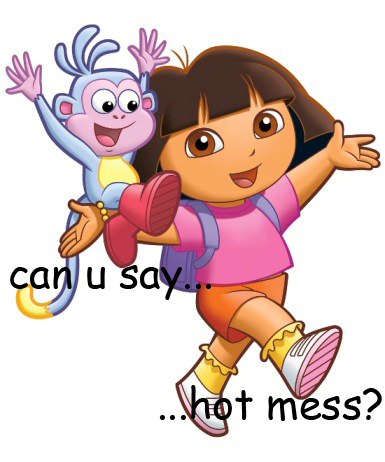 Man, you really need to stop saying my humour is brilliant because I think you're inflating my ego LOLjk ._. I should actually check out the Marshalls and Winners (I guess that would be a TK Maxx equivalent?) in my area, because they have really nice storage units! Brava! 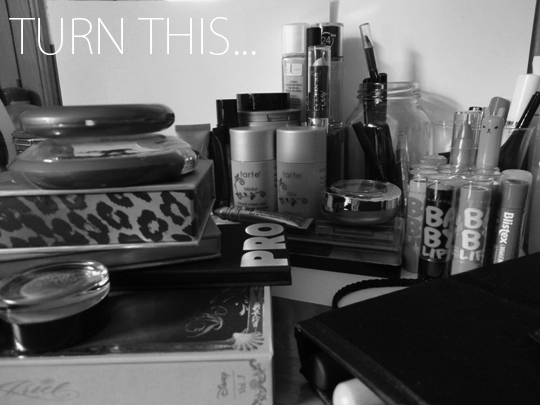 I wish I had the energy, no the WILL to organise my hot mess of a makeup table. 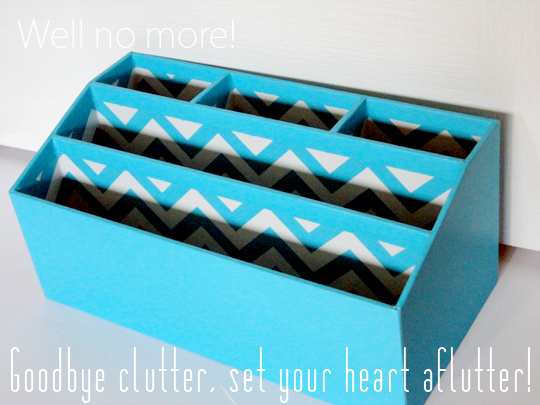 I just can't ever see myself putting my makeup into their designated storage compartments! Nope. A life of fumbling around and hoping the cylindrical object I've grabbed onto is my lipstick is what I foresee as my life destiny. LOL, I wonder if you've ever grabbed concealer as lipstick, because that would be a shocker. Most of the time I have no willpower to clean up my makeup table either, but darn, once it's clean, I make a conscious effort to keep it that way! Yeah, actually having everything in a caddy makes it really easy to transport and clean my table of dust! Man, everyone loves the storage units from the Container Store! 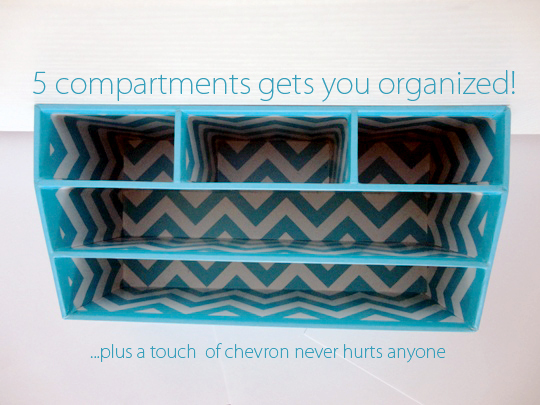 I wish I could also order the acrylic organizers off the site, but shipping is really expensive. Heh, time to toss out old makeup/make a conscious effort to use up products! haha loved this post! 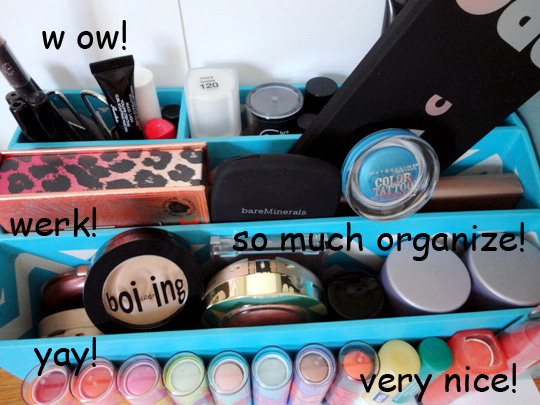 My current makeup storage is getting a bit tight so maybe a few of these will help! And it probably doesn't help that we keep picking up new products to try--it's a bad cycle of buying products and finding/making space for them, haha! I need to work on my organization... great ideas and creativity -- especially the black and white shots. Hahaha that made me laugh so much! I actually find cleaning and organizing my room quite fun! The organiser is so cute - I think I like it more than the Muji ones every blogger has! I use plant pots for organisation of my brushes and daily make up, which isn't ideal. Hi five from another organisation freak!